How small it can be?The Stealth Mini kit is the answer.It is a groundbreaking product geared towards both new and veteran vapers. It features a 1300mAh internal LiPo battery and 1.5ML brand new Shadow Mini tank. This device outputs voltage based on resistance with a maximum output of 45W. There are no adjustments to be made with this mod, which creates a hassle-free vaping experience. 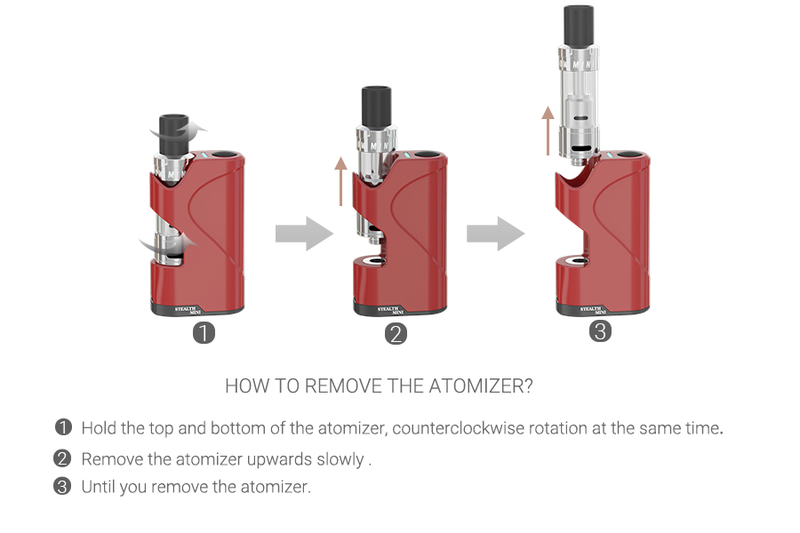 Hold the fire button with the atomizer attached to fire the device and vape away! Press the fire button 5 times to turn the device on or off. This unregulated box mod is a durable and unique mod. Vapers should be sure to give this one a try! The Stealth Mini is available in 5 eye catching colors for you to show your style, that means you can get it in red,purple,white,black,antique brown. Antique brown is an unneglectable retro color, which is popular in fashion trend and is a must-have list for fashionistas. In addition,Stealth Mini uses durable baked finish for soft feel and superior glossy shine. The Stealth Mini utilizes a 16.5mm diameter tank slot to hide tanks "under the surface". This makes the mod much easier to carry around throughout the day. It matches perfectly with the Shadow Mini tank. Be prepared to experience the simplicity and portbility of the Stealth Mini Kit . HOW SMALL IT CAN BE? The Stealth Mini is a very portable device. It comfortably fits into a shirt pocket for on the go vaping. When compared to many other devices on the market, it is much shorter than the others. The stunning looks of the Stealth Mini is largely due to its small size. The Stealth Mini is powered by a 1 cell LiPo battery rated at 1300mAh,using LiPo battery is more security than lithium ion batteries. Additionally, the chipset has built-in protection features to keep you and your device safe. 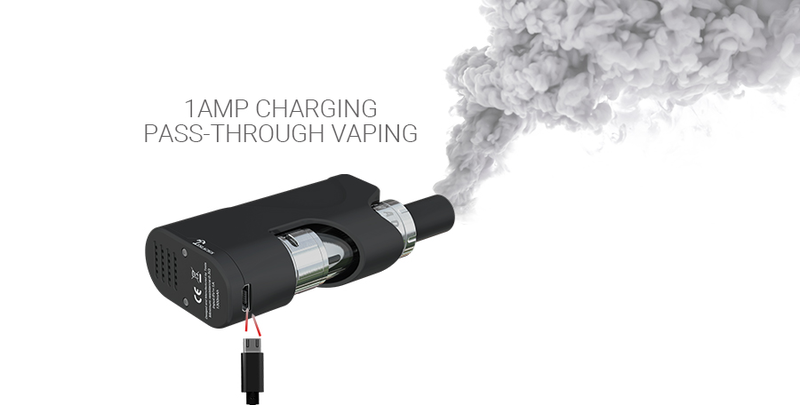 The amp limit on this device comes in at 16.5A, ensuring a safe vaping experience. The Shadow Mini tank is specially tailored for Stealth Mini, it provides incredible vapor production and the best flavor. This feature packed device comes fully equipped with adjustable airflow control, SS316 Coil,1.5ML capacity and top filling system. The Shadow Mini tank gives you two choice of using 0.6ohms coil or 1.0ohms coil. If you want to enhance your vaping experience, the Shadow Mini Tank is perfect for you. The Stealth Mini Coil material is SS316 which results in better flavor and pure taste. Selection of SS316 stainless steel food-grade material, We value more about its oxidation resistance and carbonation resistance performance. Simply unscrew the top hardware,just squirt your favorite juice into the tank.When filling the tank, close the bottom airflow completely.The maximun capacity of Shadow Mini is 1.5ML. 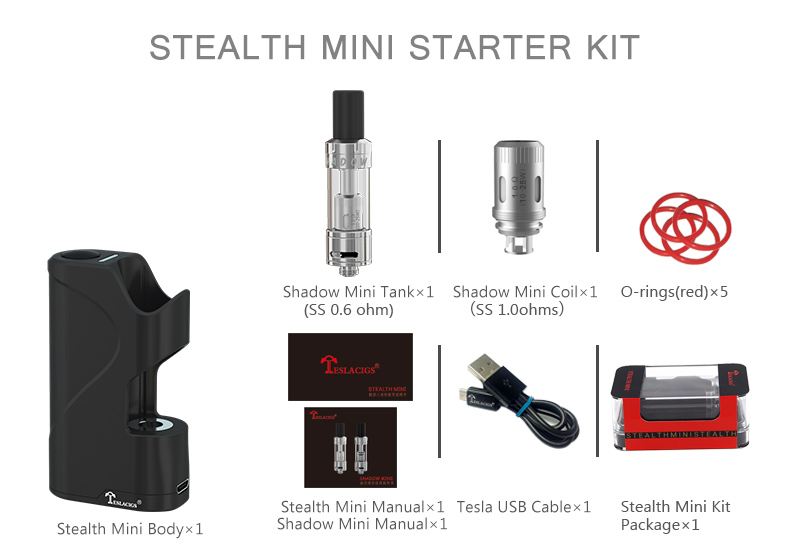 If vapers want to try some different collocation of starter kit, we also sell The Stealth Mini body and Shadow Tank. Once you use, you love it.